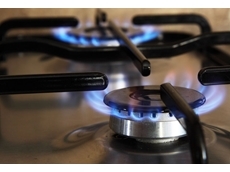 Australian Gas Association (AGA) provides accredited product certfication services with respect to the gas, electrical and plumbing sectors within Australia. AGA provides additional certification services that are accepted by the relevant government/industry regulators. 31/07/12 - For more than 40 years, the Australian Gas Association (AGA) has represented all sectors of the Australian gas industry, including pipelines, producers, manufacturers, distributors, retailers and associated organisations.The AGA defines its mission statement as "to provide high quality competitive certification services to industry and regulatory authorities and contribute to the safety, reliability and energy efficiency of gas and related products sold to Australian and international consumers. "To this end, the Association provides accredited product certification services for the gas, electrical and plumbing industries, in addition to certification services that are accepted by the relevant government/industry regulators. 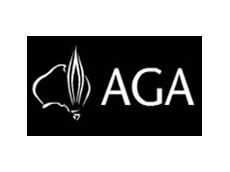 AGA's product certification services are recognised by all relevant State and Territory regulators. Generally, product certification involves an independent technical assessment of a sample product against relevant safety standards and compliance with any other regulatory requirements.Depending upon the type of product and level of certification, regular audits to verify continued product compliance are conducted.The AGA has been involved in the development and continuous improvement of its certification scheme since 1962. It was the first organisation to be authorised by Standards Australia to write joint standards, though these standards development and writing activities have since been transferred to Standards Australia.As its certification services have expanded to cover items such as electrical and plumbing products, membership of the AGA has increased to now include representatives from non-gas sectors.